Rodrigo Snchez /EyeEm/Getty ImagesStop spending, and start seriously saving. You can figure out approximately how much you’ll need with a basic calculation: your desired annual retirement income divided by 4%. When determining your magic retirement number, be honest with yourself. If you make $US100,000 today and spend all of your take-home pay, you aren’t likely to be able to live happily on $US50,000 a year in retirement. 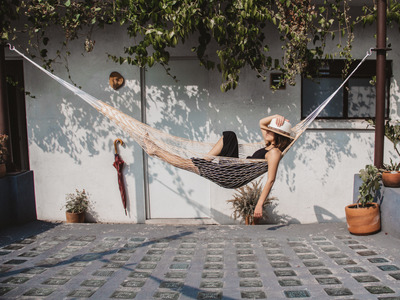 How much you spend today – and how much you expect to spend in retirement – dictates how much you need to save before you can live your best life on a beach or golf course somewhere far away from the office. Whether your dream is to retire in your 20s, 30s,40s, or 50s, there are plenty of successful examples for you to follow. 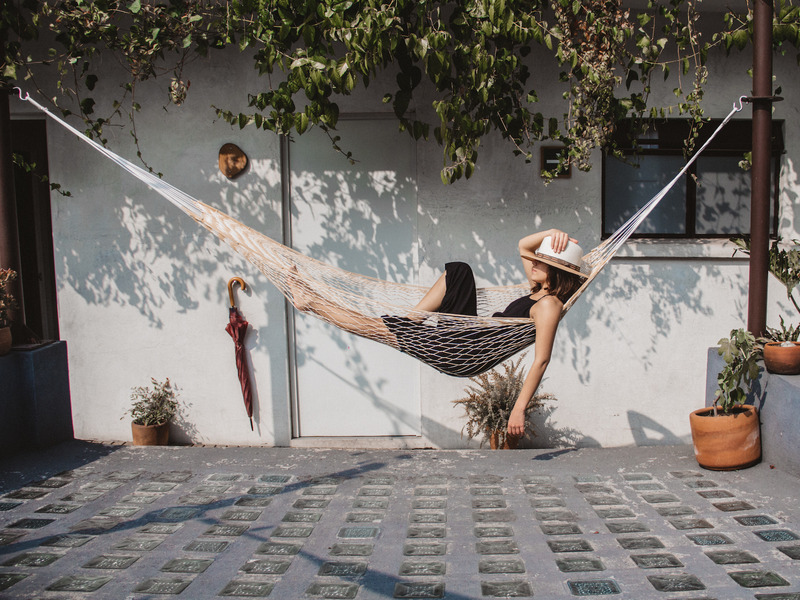 But anyone who has managed to retire early knows the magic formula means having enough saved up so that you can live off your investment returns each year, without actually touching your savings. 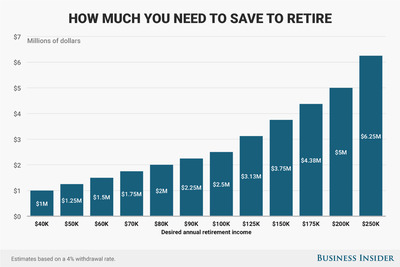 There’s a simple way to calculate how much you’ll need to have saved up before you can retire. Take your desired annual retirement income, and divide it by 4% (the maximum amount you will withdraw from your savings each year to pay for your living expenses in retirement). Then, you have an idea of how much money you need to save to create enough returns to finance your retirement lifestyle. To live on $US50,000 a year, you can see, you’d need savings of $US1.25 million. Take a look at the chart below to see how much you need for retirement income ranging from $US40,000 a year to $US250,000 a year. One caveat: The 4% withdrawal strategy only works if you are able to earn at least a 5% return (after taxes and inflation) on your retirement savings. Keeping all your savings in cash won’t do the trick. Once you know your magic number, you can leave work as soon as you reach it. If you know you’ll need $US80,000 a year in retirement, then you can call it quits the day your account balance hits $US2 million. Even if you’re only 28. To get to your goal, saving sporadically simply won’t cut it. Even saving 10% per year consistently during your career means you’ll have to work nearly 52 years before you can afford to maintain your lifestyle in retirement. If you’re 22 today, that means getting a paycheck until you’re in your 70s. If you only save 6% – the average savings rate in the US – you’ll have to put in 62 years before you’ll have enough saved to match your current income in retirement. You probably already know that the earlier you start, the more you can take advantage of investment growth (and the less you will have to save out of pocket). But no matter how old you are today, you can always write – or rewrite – your own journey to early retirement story.